It won the Academy Award for Best Picture, Best Film Editing and Best Director, was one of the biggest films of 1976 and spawned one of the most successful film franchises in history. Rocky is the ultimate underdog story. 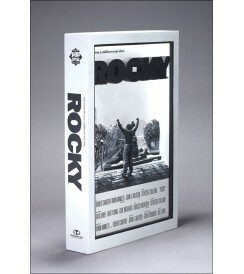 Legions of fans have remained faithful to the "Italian Stallion" through four sequels, and the fifth chapter, Rocky Balboa, is currently in the box office Top 10. 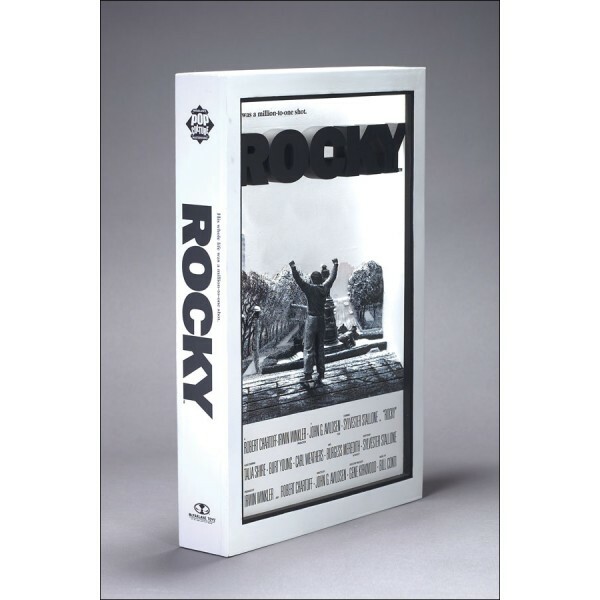 And now, McFarlane's Pop Culture Masterworks is proud to present a 3-D re-creation of Rocky's original one-sheet movie poster. Sculptors painstakingly crafted the image of Rocky raising his fists in triumph atop the steps of the Philadelphia Museum of Art. The 3-D wall hanging measures approximately 8 1/2 by 12 1/4 by 2 inches, and can be displayed on a wall or any flat surface.